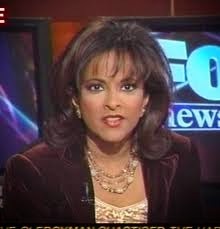 What an amazing heart warming good news story that I just saw from Uma Pemaraju on her Fox News Show on Saturday morning. A pregnant Mom in Michigan, who suffers from epilepsy, had collapsed after having seizures at her home. This is when her wonderful intelligent four year old daughter, Calise Manning, called 9-11 and calmly explained the situation to the 9-11 operator. Help came to her Mom and two days after Calise made that 9-11 call to save her Mom, her mother gave birth to a healthy beautiful baby boy, TJ Manning. What a great story that Calise will have to tell her baby brother when they both grow up. Sometimes it gets depressing in this country with all that is going on here and around the world, but there is hope yet if there are more intelligent Calise Manning's on the way to help.